The Pressed Steel Class 117s were much more common on the Cotswold Line than the very similar Birmingham Railway Carriage & Wagon Company Class 118s. 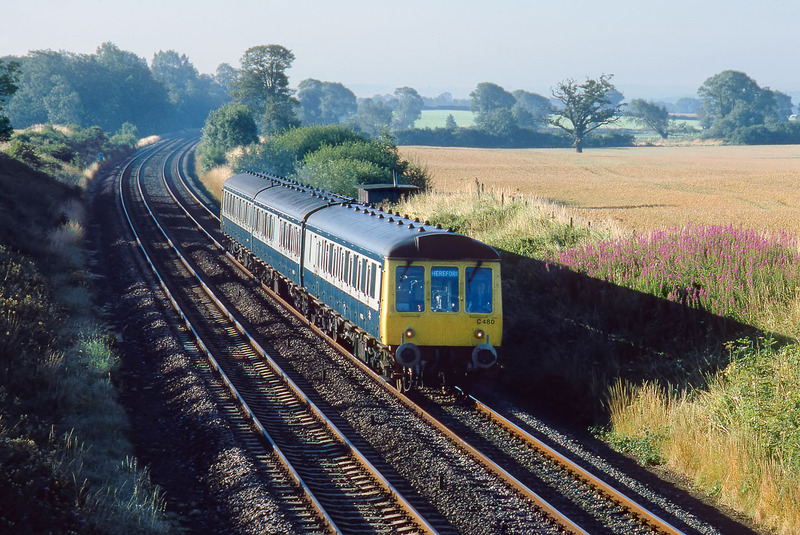 However, on 6 August 1987 the first down train of the day was worked by a 118. C480 (51312, 59479 & 51327) passes Daylesford with the 2B50 07:00 Oxford to Hereford Network SouthEast service.